From the leader in animé Katsuhiro Otomo, comes his first feature-length directorial project since his breakthrough film, Akira. Ten years in the making, with a total budget of $22 million, Steamboy is the most expensive Japanese animé production ever. A retro science-fiction epic set in Victorian England, Steamboy features an inventor prodigy named Ray Steam, who receives a mysterious metal ball containing a new form of energy capable of powering an entire nation, the Steam Ball. Young Ray Steam must use the Steam Ball to fight evil, redeem his family, and save London from destruction. With more than 180,000 drawings and 400 CG cuts, Steamboy is one of the most elaborate animated features ever created. Steamboy will be brought to life with an outstanding ensemble voiceover cast including Anna Paquin, Patrick Stewart, and Alfred Molina. $136.148 thousand on 39 screens. Due to some erratic experiences with anime in the past, I usually avoid the genre. 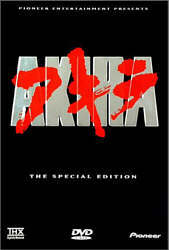 However, I’ve occasionally enjoyed some of what I’ve seen, with 1988’s Akira a prime example of a better piece of Japanese animation. Because of that, when I saw that 2004’s Steamboy came from Katsuhiro Otomo, the director of Akira, I figured it was worth a look. The movie opens with some strange experiments related to steam. Inventors Lloyd Steam (Katsuo Nakamura) and his son Edward (Masane Tsukayama) seek to develop the source of energy, but we only get a quick taste of this and don’t learn the truth behind their efforts just yet. These occur in Alaska, but we soon head to Manchester. Set in 1866, we meet Edward’s son Ray (Anne Suzuki), a mechanical prodigy and inventor in his own right. Soon he and his mother receive a parcel from Lloyd that includes blueprints and a mysterious device. Immediately after its arrival, creepy Alfred and Jason knock on their door. They claim to be with the US O’Hara Foundation that bankrolls the operation. They come to take the device, but Lloyd specifically instructs Ray not to let them have it. Lloyd soon arrives and notifies them of Edward’s death. He tells Ray to get the ball to Mr. Stephenson (Kiyoshi Kodama) and keep it out of London. He escapes in a cool wheelcycle and barely gets away from them. Robert Stephenson – a former rival of the Steam family - meets him on the train and we see signs of the ball’s power. Soon the reps from the O’Hara Foundation kidnap Lloyd and eventually abduct Ray as well. When he has dinner with O’Hara Foundation administrator Archibald Simon, Ray also meets Scarlett O’Hara (Manami Konishi), the snooty, spoiled young granddaughter of the chairman. The boy soon discovers that Eddy’s not dead, but he’s changed. Ray tours the Steam Tower, an edifice used to create enormous power, and he learns more about the steam ball. The rest of the movie follows the battle for power and how it involves Ray and his family. In an anime world populated with post-apocalyptic this and eco-fantasy that, it’s nice to find a film with a different focus. I find the decision to set the flick in Victorian England to be creative and intriguing. I suppose the story dictates this to a degree, as it wouldn’t make sense to put a steam-centered plot in an era with more – or less – advanced technology. Nonetheless, it creates an interesting twist, especially since the filmmakers easily could have set the movie in a fantasy future instead. That’s really what I’d expect, and that’s what makes the period setting of Steamboy more of a pleasure. The movie feels like it’s part of that era. The devices certainly stretch technology of the time and enter the realm of fantasy, but they don’t seem outlandish or truly impossible. They may well be impractical and fantastic, but the fit the period in an organic manner. Many of the anime films I’ve seen suffer from heavy-handed themes that they ram down our throats. While Steamboy makes a nuclear age concept obvious, it doesn’t beat us over the head with it. The flick presents only a little of the usual moralizing, as its focus on the characters allows it to become more involving and human. Not that it skimps on action. Indeed, Steamboy offers more than a few exciting pieces. The scene in which the tractor chases Ray on his cycle is worth the price of admission alone, and the movie takes off to another level during the massive third act battle. One could gripe that the Steamboy character himself has little to do – he doesn’t appear until the last quarter of the flick – but the movie sets him up well and gives us more than enough distractions until that point. As with most – all? – anime, the animation suffers from jerky movements. I’ve seen worse, but I think the characters don’t proceed smoothly. Happily, at least Steamboy compensates for these flaws with amazing artwork. The backgrounds are tremendous. They’re lavish and very detailed, and that level of quality permeates virtually every other aspect of the art. The movie always looked great despite the awkward movements. I’ve read some comments from folks who find Steamboy to be tedious and boring. While it ain’t Die Hard, I can’t comprehend these opinions. The movie pours on a lot of fine action sequences and consistently keeps us interested. I think there’s a lot to like about this flick. Note that this DVD offers the “Director’s Cut” of Steamboy. From what I know, that means it represents the original Japanese version of the film. The revoiced English version was cut by about 20 minutes for its exhibition here. However, the included English dub comes with the full 126-minute “Director’s Cut” of the film; it doesn’t duplicate the shorter US version. 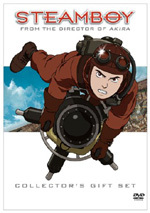 Steamboy appears in an aspect ratio of approximately 1.85:1 on this single-sided, double-layered DVD; the image has been enhanced for 16X9 televisions. The majority of the film looked splendid, but some problems occurred. The main concern related to shadows. Much of the movie worked in low-light situations, and these were often difficult to discern. I couldn’t decide how much of this was an intentional design choice and how much came from the transfer, but it caused definite distractions because I found it so tough to tell what was happening at times. Otherwise I had few complaints. Some specks occasionally appeared, but the vast majority of the movie looked clean. Sharpness was solid. No signs of softness or a lack of definition marred the proceedings. Blacks were also deep and firm. Jagged edges and shimmering created no issues, and I also noticed no edge enhancement. Steamboy utilized an extremely restricted palette. Outside of some flowers and a few of Scarlett’s dresses, I noticed almost no color in this heavily gray and brown universe. Within those constraints, the film replicated the tones well. I should note that the film clips shown in the DVD’s extras presented significantly brighter hues. I don’t know if those are correct and the entire transfer was made too dark or if the snippets in the supplements are simply too bright. Unless I hear other information, I’ll have to assume this is the more correct representation, but the dimness did cause concerns. Steamboy came with Dolby Digital 5.1 soundtracks in two languages. We got the original Japanese as well as the revoiced English. I’ve heard good things about the latter but thought it made more sense to stick with the native language used for the film. Despite some misgivings about the visuals, I found nothing about which I could complain in this excellent mix. The soundfield was consistently lively and involving. All the steam offered plenty of opportunities for hisses and bangs, and those surrounded us effectively. Of course, the film’s surfeit of action sequences made the best use of the mix. The battles raged all around us to create a very immersive setting, and different elements were appropriately placed and cleanly blended. It all balanced terrifically well to become very engaging. Audio quality was more than up to the challenge as well. Since it was in Japanese, I couldn’t judge the intelligibility of the speech, but I thought the lines seemed crisp and natural. Music was bright and dynamic, while effects contributed a major factor. Those elements always sounded concise and distinctive, and the mix provided stellar bass response. Low-end was wonderfully deep and firm, and I noticed no boominess or roughness. I loved this soundtrack. Two DVD versions of Steamboy are on the market. There’s the standard Director’s Cut DVD, and there’s also a “Collector’s Gift Set”. This review will cover the latter, which includes the former. Until I say otherwise, everything I discuss will be available in the standard DVD as well as in the gift set. 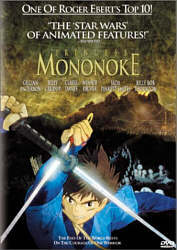 First comes a featurette that deals with the English dub of the film. Re-Voicing Steamboy runs 18 minutes and 35 seconds as it presents movie snippets, behind the scenes shots, and interviews with actors Anna Paquin, Alfred Molina, and Patrick Stewart, voice director Rick Zieff, and sound director Keiichi Momose. 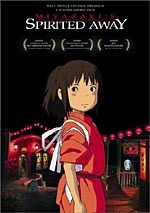 We learn about the actors’ familiarity with Japanese animation, casting, challenges connected to dubbing an already-completed film, the characters and approaches to the voices, and working with the voice director. Some good notes occur and we get a passable feel for the appropriate topics. Unfortunately, the featurette usually stays superficial and doesn’t go into the areas in depth. I always enjoy seeing the voice actors do their thing, but otherwise there’s not a lot of meat here. During an Interview with Katsuhiro Otomo, we get a five-minute and 11-second chat with the director. He discusses the film’s slow genesis and production, the development of the story and his creative methods, what he might like to do in live-action, the flick’s theme, and sequel thoughts. Like the “Re-Voicing” featurette, this one touches on some interesting topics, but it does so superficially. It lacks coherence and jumps from one subject to another without much clarity. A few decent notes emerge but not much more. Next comes a Multi-Screen Landscape Study. In this 19-minute and nine-second piece, we get an unusual construct for a featurette. One large 16X9 frame shows information – usually interviews - in the bottom part of the screen while two smaller images fill the top half, mostly with movie clips, research footage, and concept art. We hear from Otomo and other unnamed animators. They discuss visual inspirations, the use of computers, the project’s timetable, artistic decisions and various challenges. This adds up to the meatiest of the programs, as we actually learn some nice notes about the work. I don’t care for the format, though, as the three-pane setting becomes a distraction. That’s especially true because the interviews are translated via subtitles, so our eyes naturally stick to the bottom of the screen. This makes it tough to absorb the information at the top. The Adventure Continues comes with the subtitle “End Credits Without Text”. And that’s exactly what the three-minute and seven-second program offers. We see the closing credits sans the Japanese print. It’s nice to get a view of this art without anything to obstruct it. In the Production Drawings, we get a running collection of art. This runs five minutes and 39 seconds as it shows 28 pieces. The lush art is good, but the presentation isn’t. The camera pans around the screen and we rarely get a solid look at each element. Animation Onion Skins lets us view the film in various stages of completion. In its four minutes and 24 seconds, it offers a glimpse of the different elements that comprise the final product. It acts as a brief but interesting view of the bits. A few ads open the DVD. We find promos for Final Fantasy VII: Advent Children, The Cave and Osamu Tezuka’s Metropolis. These also appear in the disc’s Previews area along with trailers for Astro Boy< Cyborg 009, Memories, Mirrormask and DEBS. The sole non-disc-based element in the standard DVD, we get an Exclusive Otomo Illustration Postcard. This is exactly what it describes: a drawing on a card. It fails to add much value. Now we come to the differences between the standard DVD and the “Collector’s Gift Set”. Everything I mention from this point on appears only in the gift set. The main attraction comes from a 166-page booklet. As described on the package, it presents “character designs, mecha designs, and selected storyboard sequences”. And indeed it does, as the booklet gives us scads of design art. No explanatory text comes with it – not unless the Japanese characters tell us something. I can’t say this booklet does anything for me, but I suppose it’ll be nice for fans. Next comes a 22-page manga. This presents a Steamboy comic book. It’s a decent piece of work, though since all the text remains in Japanese, I don’t have the slightest clue what anyone says. Finally, we come to 10 Steamboy Collectible Cards. These provide some poster art and images from the movie on 4”X6” cards. As with the other elements, they’re not essential but they’re pleasant. Perhaps not a great example of Japanese animation, Steamboy at least excels in some departments. It certainly looks great, with terrific production design and artwork, and the story presents enough action and excitement to keep us involved. The DVD offers generally positive visuals along with excellent audio and a mediocre set of extras. Anime fans should definitely give Steamboy a look. Unless you’re absolutely fascinated with the film, I’d recommend you avoid the “Collector’s Gift Set” edition of Steamboy. It includes some nice pieces, but it also retails for over $20 more than the standard DVD. It’s not worth it.